Ever fancied owning your very own boardable robot/mech? Well KURATAS from Suidobashi Heavy Industry has arrived and is a 4m high, 4.5 tonne robot which can be controlled either by you or via 3G on your iPhone. Starting at just over 1.3 million dollars, the website linked at the end of this article allows you to fully customise your robot with accessories such as an iron crow used to grab things, a LOHAS launcher which fires bottles of water and BB firing gatling guns. Choose your own colour scheme and other cockpit accessories and you’re good to press the order button. Upon delivery of your KURATAS customised robot you’ll be able to step inside the comfortable cockpit and control the robot using the AE “V-Sido” control system which uses intuitive ‘arms’ on the control stick to enable precision placement of the robot’s arms. Add to that the functionality of interacting using Kinect and it’s all pretty snazzy. In fact, in the “How to ride KURATAS” video (Second video shown below) you can use Kinect to activate the gatling gun just by smiling once you’ve tracked onto your targets. Anyway, enough of the text, let’s see KURATAS in action in the videos below. 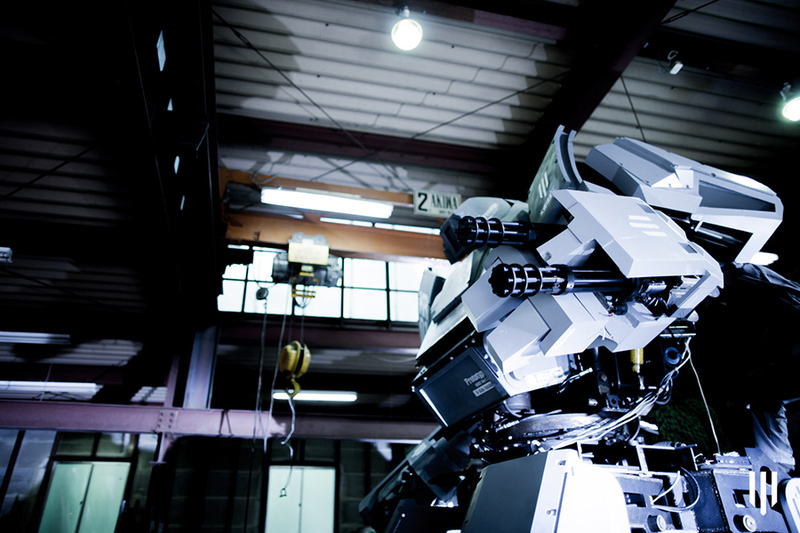 For more information on KURATAS check out the website here. Reblogged this on Sally's Special Services.